Don’t let your promotions fade to Black (Friday). One of the UK’s biggest days of bargains is coming up and it’s important that your ads do not mislead consumers. Here are some key things to bear in mind to ensure you’re heading in the right direction of complying with the Advertising Codes. Don’t claim that an offer applies to ‘everything’ if it doesn’t – it’s likely to mislead consumers. This is likely to be the case even if the restrictions are included in a footnote, because this is unlikely to override the overall impression that all items are included and is likely to misleading contradict rather than clarify the headline claim. You need to make sure you’ve included all material information that a consumer needs to understand a price comparison, so that they can make an informed decision. Significant conditions and limitations are unlikely to be acceptable if hidden in the small print or only available somewhere other than in the ad! These must be made sufficiently clear from the outset – before consumers proceed any further with their purchasing journey. When making a “was” price claim, you must be able to demonstrate that this was your normal selling price. So, please ensure that the higher price was consistently charged over a reasonable period of time, otherwise it could discredit the ‘genuineness’ of the saving consumers could make. Recommended Retail Prices (RRPs) must reflect the price at which the product is generally sold. An advertised price is not the same as selling at that price, and just because the RRP was recommended by the manufacturer does not mean that this is the case. You must be able to show that the advertised product was offered and sold to consumers at/around the RRP in sufficient quantities by your competitors. When using “from” or “up to” prices or savings, you must be able to demonstrate that a significant proportion of products are available at the stated price/discount. When considering whether an “up to” or “from” claim represents the true overall picture of a sale, the Advertising Standards Authority (ASA) is likely to consider the distribution of sale items across different price ranges. Even if a significant proportion of sales items have the maximum saving, if these sale items are disproportionately in the lower price ranges, an “up to” or “from” claim still has the potential to mislead, and there should be a roughly even distribution of discounted products across all price ranges. For more, see Committees of Advertising Practice (CAP) advice on ‘prices’. Promotional offers are designed to increase demand, and often mean that related products sell out very quickly. To avoid disappointing consumers, you need to have made a reasonable estimate of the likely demand for your promotion. Phrases like “subject to availability” aren’t always sufficient. If during a promotion you are no longer able to meet the estimated demand, then you must communicate that to consumers in a timely manner. The ASA upheld a complaint where although the advertiser made a reasonable estimate of demand for their promotion, they did not however communicate to consumers that it became unlikely that they would meet that demand because some of their shops had run out of stock due to an unexpected uplift in sales. For more, see last year’s Black Friday article here. 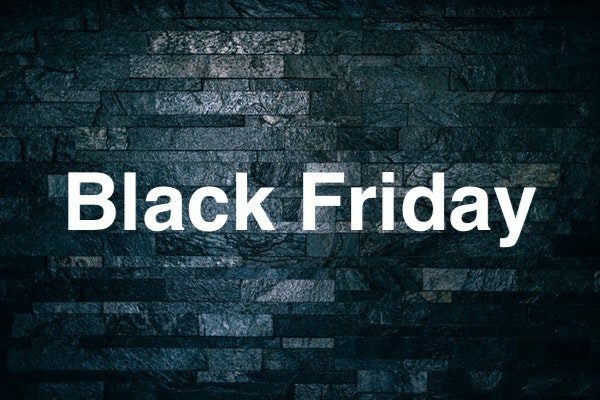 Take a simple approach to your Black Friday sale announcements and explore our full range of self-service, cost effective, products and solutions including copy advice today.